What are the principal forms of subcontracting? Who are the main contractors? What is an “Industrial Partnership”? What are the new Trends in Industrial Subcontracting and Supply Chain Management? What is Supply Chain Management (SCM) ? How long do SPXs live? What is the future of GSPX after establishing centers in each GCC countries? How long GOIC will be supporting the SPX program? How good do the SPXs perform? What results should be expected from a SPX? Which services should be performed by SPXs? What would be covered by a GOIC project for establishing a SPX? Industrial subcontracting and outsourcing are modern and efficient ways to organize industrial production, through cooperation between various complementary production units, in this case a main contractor and various suppliers and subcontractors. This concept consists of an agreement between two parties - the main contractor and the subcontractor. The main contractor entrusts one or several enterprises with the production of parts, components or sub-assemblies and/or provision of industrial services necessary for the manufacture of its final product. The subcontractor executes the work as per the specifications provided by the main contractor. There is thus a division of work in the production systems in the industrial sector and the subcontractors become increasingly specialized in one or more technological processes. Subcontracting of industrial production is generally based, among others, on two important criteria -one based on production capacity and the other on the technical specialization of the enterprise-. Subcontracting based on capacity - When the available production capacity with a main contractor is not sufficient to cope with the total volume of production necessary to execute an order and when further creation of an in-house capacity is neither feasible nor desirable, the main contractor has to depend on a subcontractor to manufacture the balance quantity of the order. This form of subcontracting takes place when the quantity of orders received by a main contractor fluctuates. Subcontracting based on specialization - This occurs when the main contractor wishes to obtain the services of subcontractors who have specialized equipment or machinery and skilled labor to undertake complex and precision jobs. Such subcontractors have specialized technical skill/know-how for specific production processes/items and the main contractors prefer to utilize their services. This relationship is not associated with fluctuations of orders and hence tends to be on a long-term or structural basis. In view of its specialized knowledge of production facilities, sometimes these subcontractors may be in a controlling position. The main contractors are generally, though not necessarily, large industries engaged in industrial manufacturing, which require a large amount of parts and components for final assembly. All these parts and components are not generally manufactured in-house in an integrated way either for reasons of economy or of specialization. Though subcontracting relationship can exist in various sectors of activity, it is most prominent in the engineering sector in industries like automobiles, railways, aeronautics, electrical equipment, electronics, domestic electrical appliances, precision equipment, surface treatment, and also in plastic and basic metal work industries like foundry, forge, general mechanical or precision mechanical works. The subcontractors are generally, although not necessarily, the small and medium industries which, having specialised in certain processes and operations, are capable of supplying quality goods as per specifications of the main contractor and at the same time offer advantageous economic terms. Sometimes large industries having available extra capacity may also act as subcontractors. It may also be the case that small and medium industries require the services of other enterprises for the manufacture of parts and components in order to fulfill large orders, thus acting as main contractors. As the practice of industrial subcontracting has developed and become more widespread, the need gradually arose for the establishment of a more permanent and evenly balanced relationship between two or more industrial partners that was more in line with market requirements. 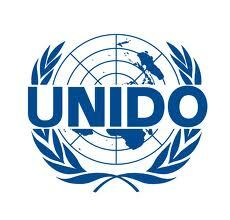 in order to meet that need, UNIDO has since 1985 been advocating the concept of "industrial partnership" under its Program for the Promotion of Industrial Subcontracting and Partnership. This concept refers to a modem form of industrial subcontracting that is based on subcontractor's specialization and technological expertise and can lead to long-standing, stable and horizontal inter-enterprise relationships, with equitable sharing of responsibilities among the industrial partners concerned. In order to increase the chances of success, these new forms of more stable subcontracting and supply linkages often call for other complementary forms of linkages, as can be seen in some of the stories, such as provision by the main contractor of special raw materials, sophisticated equipment, moulds, technical assistance, training, know-how and license agreements and even, in some cases, equity participation or joint investments. Here, the traditional subcontracting relationship has become a full-fledged partnership. A growing entrepreneurial commitment to "total quality management” both by the main contractor and subcontractor, and often jointly. An increased flexibility in the production process. An increasing amount of information and technology is exchanged between the subcontractors and the main contractors and among subcontractors themselves, thus the rate of innovation is speeded up. Subcontractors are involved from the early stages of product design. Delivery time is reduced (“just-in-time”). More services are delivered with the product. Reduction of production defects and lead-time is a must. Cost reduction has become a common task of subcontractors and main contractors. An increased trend towards the formation of industrial clusters, or groups of firms, which rely on the same or complementary business. A reduced number of suppliers to each main contractor. Subcontracting systems, are increasingly based on a pyramidal structure where the main contractors rely on a small number of first tier subcontractors, who in turn rely on a large number of second and third tier subcontractors. An ever increasing search for long lasting reliable partners. They both rely and are loyal to each other, and the only danger remaining is the fluctuation in business activity. 7. What is Supply Chain Management (SCM) ? Supply chain management (SCM) is the management of a network of inter connected businesses involved in the ultimate provision of product and service packages required by end customers. Supply chain management spans all movement and storage of raw materials, work-in-process inventory, and finished goods from point of origin to point of consumption (supply chain). Let us recall that a SPX is first of all a non-profit manufacturers association enjoying full autonomy, but supported/sponsored by public authorities and professional organizations, run by a team of qualified engineers specially trained for this purpose. Experience has shown that SPXs incorporated in Ministries of Industry and public organizations are monopolized by the State, cut-off from their industrial basis and bound to disappear. The formula of hosting the SPX in a Ministry or public organization should be considered only as a transitory start-up stage before being transferred to the private sector, preferably on an autonomous basis. SPXs incorporated in private sector institutions such as Chambers of Commerce and Industry, Federations of Industry, Professional or Manufacturers Associations, can survive, when accorded the necessary recognition and operational autonomy. They are then considered as a specialized service provided by the Chamber or Federation to its affiliated/member companies. But the full autonomy of SPXs is the most sustainable form of institutional set-up. It is then an industrial association with an autonomous budget and operational structure, managed by a Board of Directors (or National Council) which should be composed of all public and private sector organizations / institutions / associations which are involved in, or interested by industrial subcontracting, supply and similar forms of inter-industry linkages. In addition, the affiliated enterprises themselves should also be largely represented in the Board and possibly even take the leading role. For this reason, UNIDO has proposed standard "Legal Statutes for establishing an autonomous SPX", as a standard instrument, to achieve the required sustainability of the SPXs. Here also, experience has shown that when the funds are provided exclusively by one source of financing, the SPX dies. A SPX financed exclusively by the Government becomes a Government department and is quickly isolate from its industry basis. The same applies for SPXs fully subsidized by international aid programs. On the other hand, a SPX financed exclusively by the affiliated enterprises, under the false assumption that it is a profit-making activity, will soon be superseded by other activities which generate more profit and will abandon the specify activities related to subcontracting promotion. State or public institutions, in recognition of the contribution of the SPX to the national economy (at least 10% of the budget, ideally not more than 50%). Professional Association/Industrial Federations, in recognition of the contribution of the SPX to the development of the private sub-sectors of industry (at least 10% of the budget). The affiliated enterprises themselves, in recognition of the contribution of the SPX to their own productivity, competitiveness and growth (affiliation or registration fees should amount to at least 10% of the budget). In addition, SPX s should provide various fund-generating services (to non-members as well as members) such as: - Participation in industrial subcontracting/supply fairs and business meetings. - Training seminars and conferences. - Marketing surveys and missions (national and international). - Sectorial studies on investment requirements and incentives. - Technology and quality (ISO 9000) audits and assistance. - Legal assistance in relation with contracts, fiscal matters, etc. But the SPXs should not receive commissions on contracts awarded. 10. How long do SPXs live? SPXs are like enterprises: they live and they die. Some have a very long life, (some of the first established in 1960s are still alive) and some die after a few years. Others can be re-born and have a second life after 10 or 15 years. The manufacturing facilities and capacities of the enterprises keep changing all the time. New enterprises with new technologies and processes enter into the market and are willing to undertake operations under subcontract. New export markets become accessible through the SPX. New forms or enterprise collaborations appear (partnerships, strategic alliances, market and license agreements, etc.) for which the SPX can play a unique and privileged role. Therefore, the flexibility and adaptability of SPXs to changing conditions / environment are a must. 11. What is the future of GSPX after establishing centers in each GCC countries? Assuming that SPX centers will be established in each of GCC country, then after establishing organize promotional events between the local suppliers and foreign buyers, organize Trade Fairs, Events, Seminar which can eventually generate huge revenue for GOIC. Subsequently Revenue can be generated from web advertisement, Sponsors and consultancy. 12. How long GOIC will be supporting the SPX program? SPX can live as long as it is accepted by the clients or end user, UNIDO’s exit is not the biggest factor for winding up the project, it is obvious that UNIDO have achieved all its objective and established nearly 91 SPX centers across globe all as per the plan. 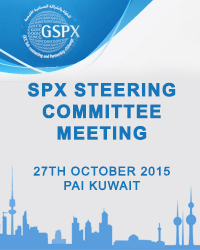 GOIC can continue to support its SPX service initially for GCC and it can be latter extended to ARAB countries. Considering the fact that GOIC is sharing the knowledge and expertise of SPX. 13. How good do the SPXs perform? Recent survey shows that on average, using Tender Information System software, It consulted 90% of GSPX members at least once in a month which shows active functioning of GSPX. The Tender information is going twice in a week as a value added service. Similar survey across other typical SPX center shows that on average, SPXs using company profile software consulted 80% of their registered enterprises at least once that year, of which 40% lead to the conclusion of contracts, which is an excellent performance. In 1997, a similar survey was conducted and showed that each registered company had been consulted at least twice that year, and that 66% of them had concluded at least one contract that same year, which is even a better performance. 14. What results should be expected from a SPX? 25-50 international contracts concluded per year (worth approximately € 2,722,500 to 5,445,000). 15. Which services should be performed by SPXs? Information services, i.e. technical information concerning small and medium industries which are capable of working as sub-contractors, suppliers or partners for domestic and foreign main-contractors; brokerage of information relating to the supply of and/or demand for sub-contracted products and supplies; information on supply of and demand for know-how, patents, technical cooperation, opportunities and procedures for the setting-up of partnership agreements. Promotional services, i.e. organization of business meetings with purchase managers from domestic and foreign industrial groups; organization of collective participation in industrial fairs of the sectors concerned; preparation and dissemination of promotional material including internet sites on the SPXs and their member industries. Advisory services on legal aspects of sub-contracting operations, product development and adaptation, quality control, standardization and certification, marketing. 17. Who are the clients/end-users? Each SPX will provide a complete range of services to small and medium industrial sub-contractors and suppliers in the respective countries and will provide information services to large domestic and foreign enterprises acting as main contractors or purchasing enterprises, to other SPXs, Chambers of Commerce and Industry, Federation of Industries, Industrial Promotion Agencies, Foreign Trade Offices, etc. operating in the GCC. 18. What would be covered by a GOIC project for establishing a SPX? 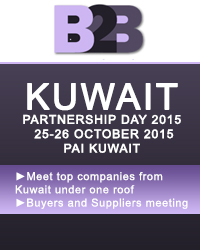 networking with other SPXs and industrial promotion agencies. A comparison of the financial estimates shows that SPX's initial contribution in technical cooperation (initial investment in a standard project of € 217,800) is rapidly transformed into an effective and profitable promotion of industrial development in the country. But the full autonomy of SPXs is the most sustainable form of institutional set-up. It is then an industrial association with an autonomous budget and operational structure, managed by a GOIC which should be composed of all public and private sector organizations/institutions/associations which are involved in, or interested by industrial subcontracting, supply and similar forms of inter-industry linkages. In addition, the affiliated enterprises themselves should also be largely represented in the Board and possibly even take the leading role. For this reason, SPX has proposed standard "Legal Statutes for establishing an autonomous SPX", as a standard instrument, to achieve the required sustainability of the SPXs. 20. What are the new Trends in Industrial Subcontracting and Supply Chain Management? 21. What is Supply Chain Management (SCM) ?